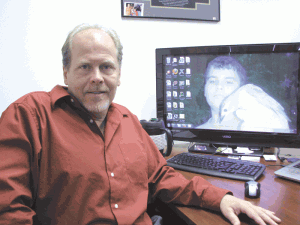 Steve Berube turned a painful, challenging time in his life into a business that helps people recover their memories. As a teenager growing up in the music-rich mid-’70s, Steve Berube remembers becoming almost obsessed with the work of Bruce Springsteen. “I remember being in high school in 1975 when Born to Run came out…” he said, not finishing that thought, but instead shaking his head a number of times to effectively get his point across about how deeply the music impacted him. He couldn’t possibly have imagined then that, more than 20 years later, subsequent songs from the Boss would help trigger memories of moments he, his wife, Lisa, and their two older children shared together — recollections he thought were lost forever after a horrific car accident in 1995 led to a double concussion, several other injuries, and tormenting memory loss. Recalling the years after that mishap and his lengthy and difficult recovery, Berube said he would grow increasingly depressed as his daughter and son would play in the room in front of him and he would have to ask them their names. Equally maddening was staring at the seemingly endless array of Disney memorabilia in the Berube home, collected during multiple trips to Orlando, and not being able to remember anything from those excursions. And some of those presumably lost memories came back. It would be several years later before Berube would determine that this effective blend of sequential pictures of specific subjects and music to which an individual has an emotional attachment might constitute a successful therapy for some individuals suffering from memory loss. On that occasion, he created a video featuring a similar mix of music and pictures for a woman suffering from Alzheimer’s, and, more specifically, the occasion of her entering an assisted-living facility. The literature makes heavy use of phrases like ‘aims to’ and ‘strives to,’ and the word ‘can’ (rather than ‘will’), because, in reality, the method has been used with only a handful of individuals, but with a high degree of success, said Berube. He noted that ongoing clinical trials involve several dozen people and, he predicts, add several layers of statistical evidence that this process can be a solution for some of those suffering memory loss due to Alzheimer’s, dementia, and head injuries. For this issue, BusinessWest takes an indepth look at the concept Berube has developed, as well as the business he’s looking to build from it. Berube says that, 16 years after the auto accident, he still has issues with short- and long-term memory. Unfortunately, though, one thing he remembers clearly is that early-morning mishap that changed his life in so many ways. Brought to the surface by hypnosis for one of the legal proceedings that ensued, he said the memories have stayed with him. He remembers that he was heading home from MassMutual, where he worked as a systems analyst, at about 1 in the morning. His normal shift had him working until 3 a.m., but with advances in technology, he and others in that role were able to do more of their work from home, and on this morning he was intent on doing so. Having made the trek down State Street at that time of day countless times before, Berube said he knew the sequence of traffic lights by heart. As he approached the light at State and Main, it was red, but he knew it would be green by the time he reached the intersection. As he coasted through, however, the car coming south on Main went through a red light, he said, and hit him broadside, propelling his vehicle into the large office building at the corner. The recovery from numerous injuries was long and difficult, he said, adding that, among other things, he suffered from what he called “unbearable headaches,” which set off deep depression. Later, there were seizures, and tinnitus, or ringing in the ears, has lingered for some time. There were also the issues with memory and how his brain processed information, which made it impossible to go back to work as a systems analyst, said Berube, adding that, while the inability to resume his promising and fulfilling career was frustrating, moreso was coping — or failing to cope, as the case may be — with the many lost pieces of his personal life. He was especially frustrated by the fact that he had to keep asking his children their names, even though one of them, his daughter, was essentially named after him; he is Stephen Michael, and she is Stephanie Michelle. “I ended up trying to tie it back that way, and it still didn’t work,” he said. The memory loss and resulting depression ultimately led him to try various things to bring out recollections. And because the house was decorated largely with Disney — his son’s room was “all Lion King” and his daughter’s room was “one of the Disney princesses, I don’t remember which one” — he couldn’t escape the maddening inability to remember. Eventually, Berube scanned a number of photographs of his children and created what he called “digital videos” of their lives. And when he blended these images with “Candy’s Room” (for his daughter) and “The River” (for his son), some of the memories started coming back. 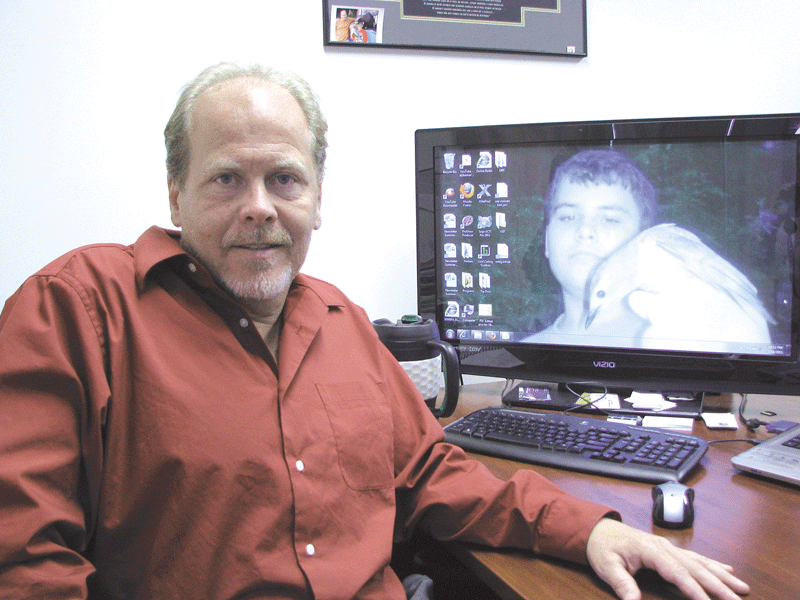 Berube told BusinessWest that merely looking at old pictures didn’t trigger such memories. Rather, it was the blending of sequential pictures and music that has meaning in one’s life. Using “Candy’s Room” as an example, he said the song isn’t really about a child’s room, but to him it is, and more than that, it’s a key to unlocking memories of time spent with his daughter. “That song, and watching that video over and over and over again for hours a day, day after day, week after week, eventually brought things back,” he said, “and it allowed me to start moving forward and not be so depressed about not remembering their names. As he talked about how he would eventually take his concept and build a business around it, Berube said that this, too, was a long, trying process. Actually, since the accident, there have a few other forays into entrepreneurship, none of them successful. One of these was a company that centered around the use of video to help children learn sports activities, such as hitting a baseball or shooting free throws in basketball. It was a good concept, Berube insists, noting that he sunk considerable resources into the venture, but it never took off. The road to Moving Pictures was paved with the help of a hobby of sorts that he developed — creating videos detailing the lives of the recently deceased. He had created several of these videos, shown continuously at funerals, when he was approached by that aforementioned woman whose mother had Alzheimer’s. “They got me the pictures, and I sat down at the computer and scanned them in,” he recalled, “and it struck me that her pictures were organized exactly like mine were for my kids. What this woman did was ask her siblings to give her pictures of them and their mom; almost every picture had the mom in it, and each would have a kid and the mom — they were in sequence, with the kid and the mom, until the kid was an adult. After that encounter in the supermarket, Berube starting thinking that there was much more to the two incidents than coincidence, and so he continued to do research into the broad subject of memory and, more specifically, the ways in which pictures and music — two therapies that had been tried individually, but not in concert — could help people recover moments from their past. His research took him to Janata’s work, which seemed to bolster Berube’s contention that music, coupled with carefully arranged pictures, could restore some memories. Other researchers have found that what triggers the memories isn’t the music as much as the emotional attachment to the music, he continued. “As certain songs are played, I can feel myself changing with the song, because each one brings you to parts of your life that your brain is attached to. When you’re young, and you listen to the same song over and over again, like I did with Springsteen, you have emotions tied to that song; that’s what you’re storing. The emotional part is stored forever, so when that song comes up, the part that stores the emotion … lights up. “We hope that, by lighting up a part of the brain that we know works, we can reteach people,” he continued, adding that, by seeing pictures and hearing music, Berube believes individuals can relearn peoples’ names and remember things from their past. As he explained how the photographic journeys process works, Berube popped in a display video, the same one that’s on the company’s Web site, www.journeys2remember.com. A composite of random photographs, the video doesn’t represent an actual family, but shows how the process works. Starting with the subject male’s wife, it proceeds to show photographs of an extended family, including children and grandchildren. Each individual is moved digitally to the center of the photograph, and their name appears on or near the image. There is accompanying information as well, such as ‘first daughter’ and ‘oldest grandchild.’ This chronological collage is then set to music that, in most cases, the individual would have listened to in his or her teens and 20s. Moving Pictures was incorporated roughly a year ago, and over the course of that time Berube has been hard at work trying to get a business started with what he considers a sound idea, but limited capital. Along the way, five photographic journeys were essentially given away to selected clients, with four of them experiencing positive results — meaning a real difference in their ability to recognize people and recall events — and the fifth at such an advanced stage of Alzheimer’s that improvement should not have been expected, in Berube’s estimation. After some false starts with the concept, some venture capital has been raised, and an office has been created in Feeding Hills. The plan moving forward is to aggressively market the concept through the Internet and pitches to individual assisted-living communities. Clinical trials involving perhaps 150 individuals are currently underway, Berube noted, adding that he is confident that the trials will yield considerably more statistical support for the product and act as a strong selling tool. Time will tell if photographic journeys can make the leap from clinical concept to successful business product. Berube knows that, like his road back from his accident and the subsequent physical and neurological ailments, this trek is a long and winding road. But he firmly believes that the memories summoned by photos of his children and some old Springsteen songs are not the product of chance, but rather a clinical success story he hopes to rewrite for people around the world. In short, he believes this product, this breakthrough, was — as his favorite musician might say — born to run.